Feeling the sand between your toes as you walk down the aisle in your flowing white gown while the warm sun falls on you, your guests and that amazing blue water. The perfect destination beach wedding is a dream for many brides and grooms to be. And for good reason - what better way to bring out a great celebration than with a day at the beach? Whether you're planning to bring all your loved ones to a private spot in the Caribbean or to your local lake with beachfront property, there are some special arrangements to keep in mind to ensure your day keeps up with that of your dreams. When you're choosing your location, keep in mind your priority guests and how easily they will be able to there. Make it as affordable as possible to those you really want to be in attendance on your big day. Keep in mind the time of sunset and sunrise where you're getting married. This will help you plan your photographs. 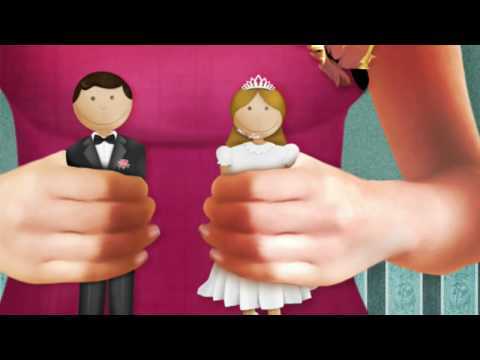 As for marriage licences, different states and countries will have different laws. Make sure you know what they are and that you have the necessary documents before you make any decisions. Send out your save the dates well in advance - at least six months beforehand. That way your guests will be able to plan their flights, book time off and budget accordingly. When you're thinking of decor, keep it simple - you've got a beautiful natural backdrop after all. 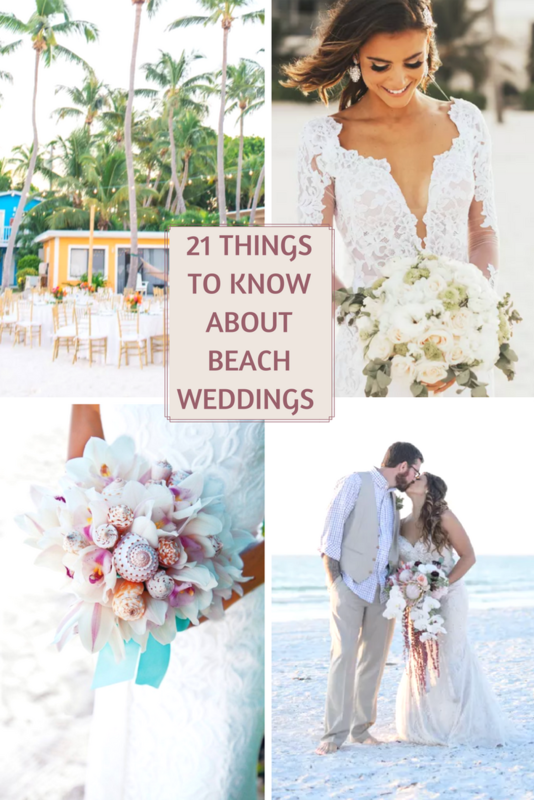 Try rose petals on the sand for the aisle, bright local flowers on chairs and lighting for an evening ceremony. Tiki torches or strings of small white lights work well. Consider the weather. Beaches can be windy! Have shawls for your guests for cooler breezes. Make sure you know what the tide is doing! If you're having your ceremony at a hotel beach ask about their sound system and whether you can borrow it. (If not, you may have to rent one). Make sure there are rest rooms nearby for your guests. Remember that not every tropical beach has the same climate. If you're getting married in the Far East - maybe Thailand - it's going to be hot and humid. If you're off to the Caribbean then it could be warm and windy. When you marry somewhere hot, you need to think of the structure of your wedding gown and those of your bridesmaids. Nothing too fitted (ditch the traditional, full-sleeved lace gown). Goddess style gowns and one- shoulder bridesmaid designs work well. Floaty chiffon, spaghetti straps and strapless are also worth investigating. Search out fabrics that travel happily and won't need endless pressing on arrival. Colour is also a consideration. Pastels look a bit washed out and insipid under bright sunshine so embrace whites and dazzling colours. This is the time to go for turquoises, yellows, oranges, emerald greens, hot pinks and rich purples. These shades look fantastic under a blue sky on a white sandy beach. As for the men, a sunshiny beach isn't the place for a formal suit. Linen or seersucker suits are very cool (literally in this case) and will look much more in place at a sandy ceremony. Most men find a pale linen suit an extremely useful garment to have in their wardrobe and he's likely to want to wear it on your honeymoon too, whenever you want to dress smartly for dinner. It goes without saying that you need to have the pedicure to end all pedicures if you're going to go barefoot on the beach. Ditch the heels, you don't want to be wobbling down a sandy aisle. If you must, wear pretty flat sparkly sandals (crystals look fantastic at a tropical wedding) or flip flops. At a beach wedding you're better off with a birdcage veil or a sparkly headpiece. Because if it's hot and steamy you're going to get hotter and redfaced under a veil and if it's windy, it's going to be whipped around your face, possibly spoiling your hair and make-up. 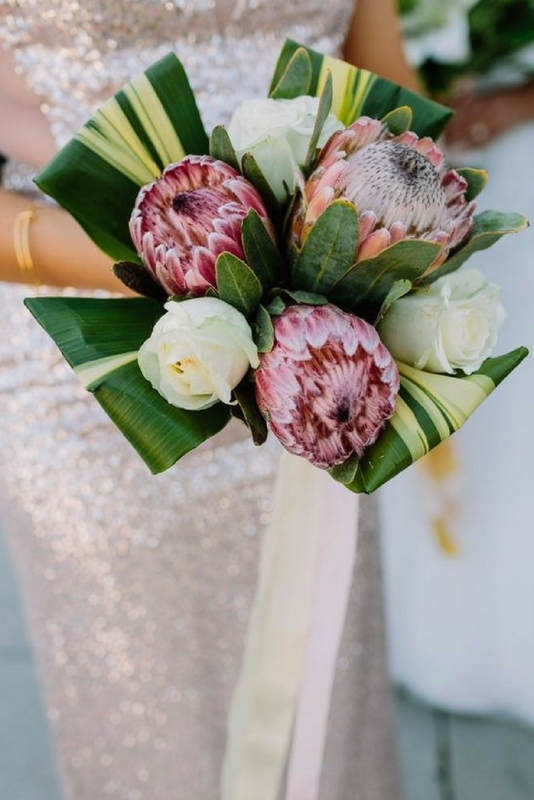 It's worth sending a note to your wedding guests about the beach temperatures they might experience so they can plan their outfits too - maybe put a dress code on your invitations. Wear sunblock and have a basket of it available for guests. Don't wear too much makeup in the heat. Keep it fresh and natural - best to consult a beauty specialist about the right look and products that will work for you.